CST6200: Elegant in design, beautiful crafted in Mirror Chrome finished Marine Grade Stainless Steel, with chrome high pressure ant-tangle hose and mirror chrome walll mounting bracket with integrated Auto Prompt Shut Off water isolating valve. 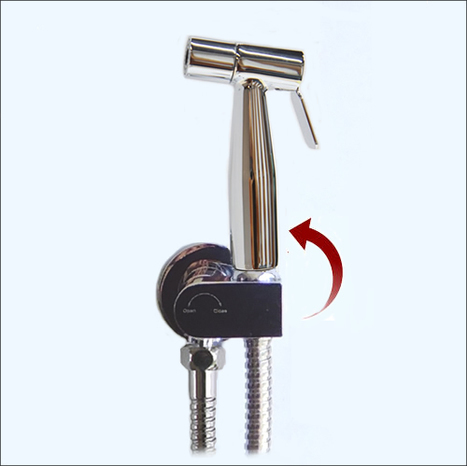 CST6200: Quality High Pressure Chrome Finished Stainless Steel Bidet shower with matching mirror chrome Auto Shut Off water isolating valve. 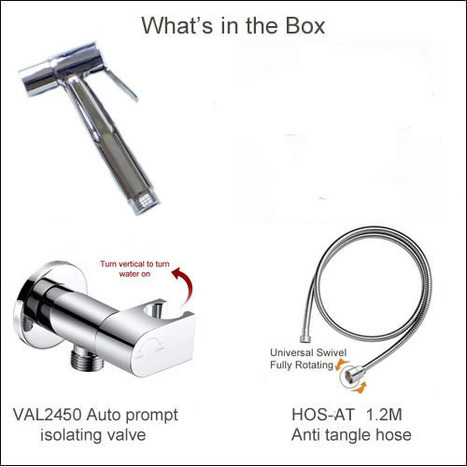 Elegant in design, beautiful crafted in marine grade chrome finished Stainless Steel, with high pressure ant-tangle mirror chrome hose and matching chrome Auto Shut Off water isolating valve. Bidet shower head with water control trigger manufactured in marine grade chrome finished stainless steel, weight of shower head, around 250 grams..
1.2M anti-tangle hose in mirror chrome. These hoses are specifically designed for use with our Bidet Showers. 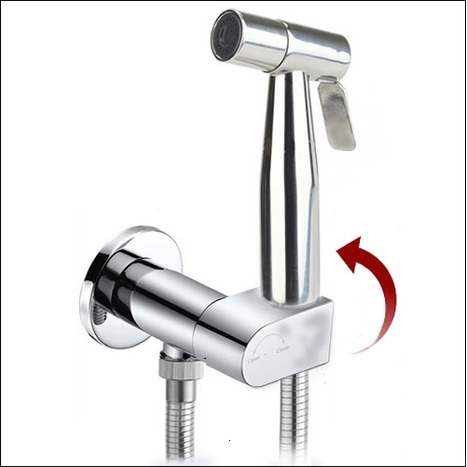 Special mirror chrome wall mounting bracket with integrated Auto Prompt Shut Off water isolating valve. Enabling you to hang your bidet shower in a convenient location within easy reach of the toilet.